People often think of a toothbrush, a package of dental floss, and a bottle of mouthwash as valuable tools when it comes to preventing gum disease. Each of these devices can certainly play a role, but if you want another weapon in your arsenal, don't overlook the value of a gum stimulator. You might not know the name of this device, but you probably recognize its appearance — it's a pointed, rubber device on the end of a long handle. It's worthwhile to visit your local pharmacy to buy a gum stimulator to use as part of your daily dental care regimen. Here's some information about doing so. There are a few different ways to use a gum stimulator, but the main way to use this device is to gently run the tip through your periodontal pockets. This is the area where each tooth meets the gum. Many people run the gum stimulator under hot water to soften it a bit, which helps to prevent the pointy tip from causing you any discomfort. 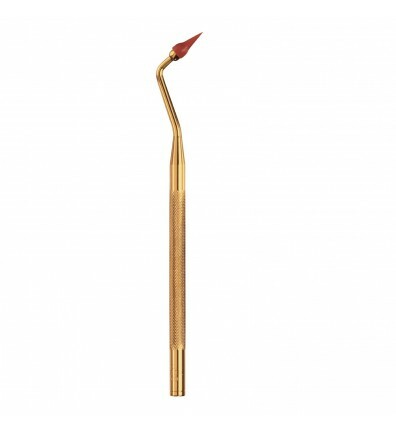 Make sure that you use this tool lightly; you don't want to jam the tip into your gums deeply enough that you cause them to bleed. It can be difficult to thoroughly clean your periodontal pockets with a toothbrush, and this can mean that this area can eventually experience the growth of tartar. This is especially likely if you don't visit your dentist often enough to have your teeth cleaned. The gum stimulator lifts bacteria off the teeth below the gumline, which prevents it from eventually hardening and turning into tartar. Tartar won't come off your teeth without a professional dental cleaning, and can eventually lead to gum disease. This is why the gum stimulator is a valuable tool to use to prevent this common but serious dental condition. You should continue to use your gum stimulator regularly — every day, ideally — until it shows signs that it needs to be replaced. Be aware of the sharpness of the tip. If it gets worn or damaged to the point at which it's dull, it may irritate your gums because it's too bulky. Additionally, if the rubber has started to break down — perhaps because you've repeatedly stored it while wet, rather than taken a moment to dry it off — you'll want the replace the device. Consult your family dentist for more advice on using a gum stimulator.